SIP connections are a hot topic when it comes to business communications. A SIP connection, also known as Session Initiation Protocol, makes it possible for businesses to communicate through telephone services via the Internet instead of through traditional telephone companies (this process is called SIP trunking). SIP connections are expected to entirely replace traditional phone services within ten years. 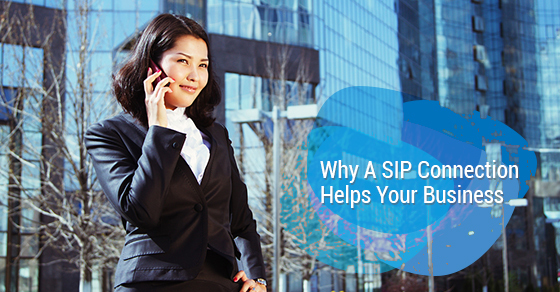 A SIP connection offers great savings and return on investment, which are only a couple of the reasons why they are becoming an increasingly attractive option among business owners. Their benefits to businesses, both large and small, offer many advantages over more traditional means of communication. Significant Savings and Return on Investment. SIP connections lead to significant savings in several ways, including the fact that you are offered one SIP trunk regardless of where you are in the world, unlike other service providers. You will no longer have to pay monthly charges or pay for things like BRIs or PSTN gateways. Similarly, any additional fees from long-distance calls or 800 numbers will also be eliminated. In terms of scalability, SIP connections do not involve paying for additional phone lines – simply put, you only pay for what you need. In addition, any up-front fees are usually paid back within six months. In fact, ThinkTel communication services could allow businesses to save 75% or more on communication costs. Better Reliability. SIP connections are much more stable than traditional connections because they are not affected by power outages due to weather or any other natural disasters. This is extremely valuable for businesses given that even a small number of non operational hours can translate into significant costs. Increased Productivity. You won’t experience any busy signals if you opt for the ThinkTel Capacity on Demand option, meaning that productivity, and revenues are maximized. Better for Growth (Scalability). The ability to expand your communications network is easier, much less time consuming and less wasteful because the technology to be able to do so is already there. There also won’t be any additional costs involved in expanding your operations, unlike traditional phone services which become costly every time a new line is added. If you are interested in SIP trunking for your business, contact our team of professionals at ThinkTel today. We have become the IP voice provider of Fortune 100s, government agencies and public institutions – we will find the service that suits your unique needs.